This scenario has become an established reality through the news media’s pronounced repetition of law enforcement’s narrative. This is underscored with the cultural tendency toward correlating non-Western and/or Muslim individuals with terrorism and related types of crime. This proposed scenario of deviant Muslim terrorists has also tended to obscure the possibility that the Tsarnaev brothers may have been tortured and Tamarlan murdered at the hands of federal and state law enforcement officers. Moreover, the April 18-19 search for Dzokhar Tsarnaev involved the removal of Constitutional protections against illegal searches and seizures throughout the Boston area and enactment of de facto martial law. Note: Times of occurrences referenced are Eastern Standard and in some instances signify time of publication rather than the specific incident cited. Time of publication does not always correlate with exact time of incident. Thus “n.t.” denotes “no time” of event or publication referenced in the given news article. An estimate of an approximate time is followed by “[estimate]”. Richard Serino, Director of Boston’s Emergency Medical Services, authorsMarathons – A Tale of Two Cities and the Running of a Planned Mass Casualty Event (PDF). As the title suggests, the document provides a detailed and fully operationalized plan for carrying out a mass casualty drill around the Boston Marathon. The 39-frame slide presentation details how emergency personnel and resources are to be coordinated and deployed. It also emphasizes “Working with the media.” “Their mission is to get a story,” frame 11 instructs. “Building a longstanding relationship with journalists and reporters ensures that they get the right story and that they serve as a resource when needed.” Several maps of downtown Boston “based on consistent grid coordinates” and including “zone designations for incident reporting” (frame 26) delineate the Marathon route and finish line area on Boylston Street. Specific procedures for medical providers, including electronic patient tracking via barcodes (frame 31) further indicate the scope and precision of the mock event. James F. Tracy, “Obama’s FEMA Director Planned Boston Mass Casualty Event in 2008,”Memoryholeblog.com, May 21, 2013. This observation was established earlier by another researcher. See Stephanie Sledge, “333 Disarray: One Foot in Heaven and One in Hell,” The Government Rag, April 28, 2013.
n.t. Richard Serino retires from his post at Boston EMS upon being appointed Deputy Administrator at the Federal Emergency Management Administration by President Obama. “First of all, people need to understand what FEMA is and isn’t,’’ Serino tells the Boston Globe. “It provides support to states and localities – it is not there to dictate how the local EMS and first responders operate.” Christie Coombs, “Serino ‘Retires’ to Top-Level FEMA Post,” Boston.com, October 22, 2009.
is aimed at strengthening the security and resilience of the United States through systematic preparation for the threats that pose the greatest risk to the security of the Nation, including acts of terrorism, cyber attacks, pandemics, and catastrophic natural disasters … The Assistant to the President for Homeland Security and Counterterrorism shall coordinate the interagency development of an implementation plan for completing the national preparedness goal and national preparedness system. 8:00AM-8:00PM [estimate] Operation Urban Shield Boston transpires throughout the city, the first major exercise to take place in Boston since 9/11. “The scenarios are fakes, but the response is real,” CBS’s Boston affiliate WBZ reports. “Terrorists hijack a boat in Winthrop. Firefighters search for victims in a Quincy building collapse. A bomb squad diffuses an explosive in Chelsea … A grant from the Department of Homeland Security makes the elaborate setups possible.” http://www.youtube.com/watch?v=-VkVS3NRXZk The drills bring together emergency response teams from the around region and even some as far as California. There are a variety of scenarios carried out. In one, SWAT teams storm a boat at Winthrop Public Landing with the notion that a group of terrorists attacked the ship and took hostages. Other simulations included a gunmen running loose at the Boston Copley Marriott Place, a terrorist seizure of a control room in Everett, and an explosive device at Quincy High School. The last scheduled event, from 5PM to 8PM, recreated the Mumbai terror attacks at the Boston Marine Industrial Park. Actors pose as terrorists and victims while special effects teams set off fake gunshots and explosions. Alana Gomez, “Boston Area Holds Large Terror Drills As Part of Urban Shiled Training Program,” WBZ / CBS Boston, May 21, 2011. 8:00AM The Department of Homeland Security-sponsored 24-hour emergency preparedness drill “Urban Shield,” incorporating police, firefighters and EMT’s from Boston and eight surrounding towns begins. Brookline Police Chief Daniel O’Leary says several simulated crisis events are to take place around the region simultaneously, including an emergency drill on the water. “The federal government has given us a lot of money to protect Boston Harbor, so we’re going to test the assets on different things,” O’Leary tells WBZ NewsRadio 1030. There will also be a mass casualty incident to test eight hospitals and simulated disasters on the subway to test Transit Police. Kim Tunnicliffe, “It’s Only a Drill: Simulated Emergencies in Boston Area,” CBS Boston, November 3, 2012. Wheelchair Division of 2013 Boston Marathon begins race at Hopkinton.2013 Boston Marathon, Boston Athletic Association, n.d.
Elite Women’s Division of 2013 Boston Marathon begins race at Hopkinton.2013 Boston Marathon, Boston Athletic Association, n.d.
Two bombs explode 550 feet apart on Boylston Street in the proximity of the Boston Marathon finish line, killing three people and injuring over 140. The scene is reportedly punctuated by broken glass and severed limbs. Onlookers fear that terrorists have struck America again. A White House official says the attack was being treated as an act of terrorism. “They just started bringing people in with no limbs,” runner Tim Davey of Richmond, Virginia tells the Associated Press. Jimmy Golen, “Boston Marathon Bombing Kills 3, Injures Over 140,” Associated Press, April 16, 2013. Boston graphic artist Aaron “Tango” Tang, whose second floor offices are located on Boylston Street about one half block from the first bomb detonation, sends out the second of several Tweets from the scene. In the aftermath Tango will post dozens of photos he has taken in the immediate aftermath of the blast that collectively call into question the official narrative of the incident and are used selectively by major news media. From the Sandy Hook Massacre Timeline: Two makeshift explosive devices detonate at the finish line of the famed Boston Marathon. The 2013 run is designed in honor of the 26 Sandy Hook Elementary School victims with its 26.2 mile course. It is also attended by several parents from Newtown participating in the event. Yet the six Sandy Hook families present are caught in a milieu of emergency vehicles and carnage. “It was all those same things, the police and fire and all of that. It’s severely traumatic,” says Lauren Nowacki, one of the Newtown parents in town for the April 15 marathon. “We thought things were finally getting to a good place from the first go-around, and now this.” Nowacki’s daughter was at Sandy Hook Elementary on December 14 but was not injured. Nowacki says all of the Newtown marathoners completed the run before the bombs detonated that purportedly injure 170 people and kill three. “Boston really reached out to us,” Nowacki notes. “Even after the bombing, the communications director from the race called to make sure all the kids were all right.” The Newtown group will now attempt to reciprocate by honoring the victims of the Boston bombings with their own annual race, the Sandy Hook 5k Run. Colleen Curry, “Sandy Hook Families at Boston Marathon Traumatized Again,” ABC News, April 16, 2013. “Alice”: That-that’s correct. There were a few that didn’t—uhm—unfortunately make it and we—we do have those people here in the tent … So— Reporter: What was your immediate reaction when you heard the blast and then you started to see some of these injuries. I mean you’re used to dealing with blisters and people with shortness of breath. “Alice”: Yeah, we’re doing OK. Reporter: How about you. [Moves with microphone in hand toward woman standing to right of first interviewee.] Same story? Reporter: Right. Maureen: Uhm, so, and then once things were stabilized up there I ran back here to the tent. Maureen: Absolutely. Reporter: Thank you so much. Thank you for your help as well. Thank you for your service. I know now that we’re hearing that two are dead and nearly two dozen have been injured from these two blasts. “Special Report: Interview with Medical Tent Personnel,” WBZCBSBoston.com, April 15, 2013. CNN reports that two are dead and 119 injured. The cable news network’s anchor Erin Burnett conducts a live interview with eyewitness Cassidy Quinn Brettler. CNN fails to preface the interview by noting that Brettler is a self-described vlogger and professionally-trained freelance reporter and actor.http://www.youtube.com/watch?v=c4TO4lC0FsY “Blood everywhere,” Brettler tells Burnett. “Body parts that should never look in the state they were looking [sic]. Just total—I mean [it was] disturbing.” Erin Burnett, “Eyewitness: ‘Blood Everywhere’ in Boston,” CNN, April 15, 2013. “1:45 – This is my favorite group … the fifth tier. For the next 30 minutes, expect to see a variety of athletes running by, including the following groups: A. Average runners like my buddy Nez, who hope to finish around the four-hour mark but don’t mind stopping for a second to chat. B. Older guys chugging along nicely, even though they look like they could drop dead at any moment … 2:15 — Now we’ve entered the “freak” portion of the race: People trying to finish in four hours or less, running alongside college kids carrying fraternity flags, transvestites, people dressed in Viking garb and wackos wearing Larry Bird jerseys or multi-colored afros. There are some seriously strange people out there. This usually lasts for about 20-25 minutes. After that, you’ve seen enough and you’re probably buzzed enough to call it a day. 5:00AM The New York Times carries graphic front page accounts and disturbing images of the Boston Marathon bombing’s aftermath under the April 16 headline, “BLASTS AT BOSTON MARATHON KILL 3 AND INJURE 100.” “These runners just finished and they don’t have legs now,” Roupen Bastajian, 35, a Rhode Island state trooper and former Marine tells theTimes. “So many of them. there are so many people without legs. It’s all blood. There’s blood everywhere. You got bones, fragments. It’s disgusting … We put tourniquets on,” Mr. Bastajian said. “I tied at least five, six legs with tourniquets.” Another eyewitness, Deidre Hatfield, 27, claims to have been steps away from the finish line when she heard a blast. She sees bodies flying out into the street and a couple of children who appeared lifeless. She sees people without legs. “When the bodies landed around me I thought: Am I burning? Maybe I’m burning and I don’t feel it,” Ms. Hatfield says … She looked inside a Starbucks to her left, where she thought a blast might have occurred. “What was so eerie, you looked in you knew there had to be 100 people in there, but there was no sign of movement.” Tim Rohan, “War Zone at Mile 26; ‘So Many People Without Legs,’” New York Times, April 16, 2013.
http://www.youtube.com/watch?v=4bWz2UIZ4Jk “Press Conference From Boston Regarding the Recent Bombings,” CNN, April 16, 2013. n.t. Federal authorities say the bombs were probably simple devices made from ordinary kitchen pressure cookers, only they were designed to shoot shrapnel consisting of nails and ball bearings into anyone within reach of their blast and maim them severely. Officials say the “pressure cooker bombs” were set off by “kitchen-type” egg timers. According to the New York Times, “The resulting explosions sent metal tearing through skin and muscle, destroying the lower limbs of some victims who had only shreds of tissue holding parts of their legs together when they arrived at the emergency room of Massachusetts General Hospital, doctors there said.” Law enforcement authorities surmise the devices were concealed inside dark nylon duffel bags or backpacks and left on the street or sidewalk close to the finish line. Forensic experts say that the design and components of the homemade devices were generic but that the marking “6L,” indicating a six-liter container, could help identify a brand and manufacturer and possibly provide details about the buyer. Katharine Q. Stellye, Eric Schmitt and Scott Shane, “Boston Bombs Were Loaded to Main,” New York Times, April 16, 2013. President Obama announces that the F.B.I. is investigating the attack as “an act of terrorism,” and plans to travel to Boston on April 18 for an interfaith service at the Cathedral of the Holy Cross. “The range of suspects and motives remains wide open,” the FBI’s Richard DesLauriers says. And, he adds, no one has claimed responsibility. “Someone knows who did this,” he says. “Cooperation from the community will play a crucial role.” Officials claims to have received over 2,000 tips from around the world. As marathoners left through Logan Airport on April 16, security personnel remind them to share relevant pictures with the FBI. Counterterrorism experts say authorities plan to use facial recognition software against numerous databases for visas, passports and drivers licenses. “It’s our intention to go through every frame of every video that we have to determine exactly who was in the area,” Boston Police Commissioner Edward Davis tells journalists at a news briefing. “This was probably one of the most well-photographed areas in the country yesterday.” Katharine Q. Stellye, Eric Schmitt and Scott Shane, “Boston Bombs Were Loaded to Main,”New York Times, April 16, 2013. Susan L. Abbott, the attorney for James Gallagher, CEO and General Counsel of John Hancock, the US division of the Canadian-based Manufacturers Life Insurance Company, and Michael Sheehan, CEO of advertising firm Hill Holliday, file legal paperwork with the Massachusetts Secretary of State to establish The One Fund Boston, an anticipated 501c3 nonprofit to oversee fundraising activities on behalf of Marathon bombing victims. John Hancock and Hill Holliday are the primary corporate sponsors of the 2013 Boston Marathon. “Articles of Organization,” The One Fund Boston, n.d. Accessed January 16, 2014. Alternative news outlet Infowars.com publishes numerous photos of the Boston bombing scene appearing on the 4chan.org website that showing images of questionable individuals donning large backpacks at the scene prior to the bombings. Three of the male figures look to be Arab or Middle Eastern in appearance, while another two of the individuals are white. The images show the persons looking away from the marathon runners, speaking on cellphones and absconding from the scene immediately after the blast. Paul Joseph Watson, “Potential Boston Bombing Culprits and Person of Interest Identified?” Infowars.com, April 17, 2013. A source inside CNN asserts that the cable news channel’s staff sense humiliation and remorse after their dubious reportage earlier in the day that an arrest was made in the Boston Marathon bombings case. The sourcereveals that the network was first to report that a suspect had been identified. Anchor John King transmitted a report that a source “briefed” on the investigation had told King a positive identification had been made. CNN Washington bureau chief Sam Feist approves that report, according to the source. Brett Logiurato, “CNN Source: Everyone Went Silent for Fifteen Minutes After We Screwed Up the Boston Marathon Report,” Business Insider, April 17, 2013. 11:52PM Authorities identify a potential suspect Wednesday in the Boston Marathon bombings, CBS New York reports, noting that surveillance video may furnish a vital clue in apprehending the attacker. A newly released photo appears to show a bag that may contain an explosive device, behind a fence at the second explosion site. “Authorities Identify Potential Suspect In Boston Marathon Bombings,” CBS New York, April 17, 2013. Independent journalist Anthony Gucciardi interviews key Boston Marathon eyewitness Alastair Stevenson. A veteran of marathons and track coach at the University of Mobile in Alabama, Steveonson confirms that drills were taking place the morning of the Boston Marathon that included bomb squads and rooftop snipers. “At the start at the event, at the Athlete’s Village, there were people on the roof looking down onto the Village at the start,” Stevenson recollects. “There were dogs with their handlers going around sniffing for explosives, and we were told on a loud announcement that we shouldn’t be concerned and that it was just a drill. And maybe it was just a drill, but I’ve never seen anything like that — not at any marathon that I’ve ever been to. You know, that just concerned me that that’s the only race that I’ve seen in my life where they had dogs sniffing for explosions, and that’s the only place where there had been explosions.” Anthony Gucciardi, “Interview With Boston Eyewitness Confirms Bomb Squad Drill,”Infowars.com, April 17, 2013. 5:00PM FBI Special Agent in charge of the Boston division Richard DesLauriers releases images and video captured from closed-circuit surveillance cameras that show Tamarlan and Dhzokhar Tsarnaev on the sidewalk in the proximity of the Boston Marathon finish line. “Today, we are enlisting the public’s help to identify the two suspects,” DesLauriers announces. “After a very detailed analysis of photo, video, and other evidence, we are releasing photos of the two suspects. They are identified as Suspect 1 and Suspect 2. They appear to be associated.” DesLauriers then warns against considering other photographic or video evidence. “For clarity, these images should be the only ones—the only ones—that the public should view to assist us. Other photos should not be deemed credible and unnecessarily divert the public’s attention in the wrong direction and create undue work for vital law enforcement resources.” Greg Comcowich, “Remarks of Special Agent in Charge Rick DeLauriers at Press Conference on Bombing Investigation,” FBI Boston, April 18, 2013. 26-yearl-old Boston bombing suspect Tamerlan Tsarnaev calls his uncle, initiating a five-minute conversation and asking for forgiveness, the uncle asserts. Alvi Tsarnaev tells The (Westchester County, N.Y.) Journal Newsthat his nephew calls for the first time in roughly two years. “He said, ‘I love you and forgive me.’” Alvi Tsarnaev resides in Montgomery Village, Md. “We were not talking for a long time because there were some problems,” he remarks. “We were not happy with each other.” They spoke about family and spiritual matters. “I told him I was praying to Allah, not drinking, not smoking, and he told me he was happy,” Alvi Tsarnaev says. “He was asking, ‘Did you pay your mortgage?’ I told him I was trying to pay. I asked him what he was doing. He said, ‘I fix cars, I got married, got a baby.’ ” Natalie DiBlasio and Shawn Cohen, “Tamarlan Tsarnaev Called, Asked for Forgiveness,” USA Today, April 19, 2013. A Saudi “person of interest” is to be deported on “national security grounds” after President Obama has impromptu meeting with Saudi official. A terrorism expert notes that the move is “very unusual,” particularly in light of an unscheduled meeting yesterday between Obama and Saudi Foreign Minister Prince Saud al-Faisal.Abdul Rahman Ali Alharbi, the Saudi national with suspected involvement was put under armed guard in the hospital after the bombing, visited by Saudi diplomat Azzam bin Abdel Karim, and later had his apartment raided by federal and state law enforcement agents. Congressman Jeff Duncan asks DHS chief Janet Napolitano about the Saudi linked to the Boston bombings being deported for “national security” reasons. Napolitano denied any knowledge of the man being deported. Paul Joseph Watson, “Obama Covering Up Saudi Link to the Boston Bombing?”Infowars.com, April 18, 2013. 12:10AM [estimate] Police encounter Tamerlan and Dzhokhar Tsarnaev in the streets of Watertown, and Dzhokhar reportedly tosses bombs at officers as he drives out of their closing cordon, leaving the elder Tamarlan dying in the wake. Police are heard shouting over the police scanner, “Loud explosion, loud explosion, loud explosion, shots fired, shots fired.” One police officer was severely wounded in the confrontation. Congressman Dutch Ruppersberger, a member of the House intelligence committee, remarks, “They clearly amassed a small arsenal of explosives.” Police report carrying out one or more controlled explosions on Norfolk Street, in Cambridge, not far from where the bombers apparently share a home. Ray Sanchez, “Boston Bombs: The ‘Small Arsenal’ of Weapons Suspects ‘Used Against’ Police,” UK Telegraph, April 20, 2013. Dzhokhar Tsarnaev, Robel Phillipos, Dias Kadyrbayev, and Azamat Tazhayakov see news reports identifying Tsarnaev and his older brother Tamerlan Tsarnaev as the bombers and stating that Tamarlan was killed during a shootout with police. Eric Larson, David McLaughlin, and Janelle Lawrence, “Friends Land in Jail After Dumping Bomb Suspect Backpack,”Bloomberg News, May 2, 2013. Dave Henneberry, the Watertown Massachusetts resident who owns the boat where Dzhokhar Tsarnaev took refuge to dodge a daylong dragnet, describes in an interview with a local television outlet how he discovered the bombing suspect, which he claims developed differently than has been reported. “I know people say there was blood on the boat — he saw blood and went in,” he says. “Not true.” When on April 19 Watertown residents were advised they could exit their homes, Henneberry went out to his boat, climbed three steps up the ladder, and when he could see into the boat, he looked on the floor and saw “a good amount of blood.” http://www.youtube.com/watch?v=ixTkyI_Hpbg “And I said, wow, did I cut myself last time I was in the boat a couple of weeks ago and forget?” he said. “No, no.” Mr. Henneberry then saw the body — but not a face. “Oh my God,” is what went through his head, Mr. Henneberry recounted in his distinct Boston brogue. He jumped off the ladder, he said, and called 911. Mr. Henneberry refers to himself an “incidental hero,” explaining: “I wasn’t out on the prowl. I was out to see my boat.” An online fundraiser to replace the bullet-ridden ship has raised more than $10,000. “Boat Owner Calls Himself ‘Incidental Hero’ in Ending Terror,” WCVBtv 5 April 23, 2013. FBI investigators interview Asamat Tazhayakov, who says he became friends with Tsarnaev in 2011 and that the two became closer in 2012 when Tsarnaev began spending more time at their apartment. On April 18 at 4:00PM Tsarnaev had dropped Tazhayakov off at the apartment after they attended classes together. Eric Larson, David McLaughlin, and Janelle Lawrence, “Friends Land in Jail After Dumping Bomb Suspect Backpack,”Bloomberg News, May 2, 2013. Investigators report that they are now turning to what motivated the Tsarnaev brothers to carry out the attacks on the Boston Marathon. Federal investigators are reviewing a visit that one of the suspected bombers made to Chechnya and Dagestan, mainly Muslim republics in the north Caucasus region of Russia. Both have active militant separatist movements. Members of Congress expressed concern about the FBI’s handling of one request from Russian authorities before the trip to examine the man’s possible links to extremist groups in the region. Tamerlan Tsarnaev spent six months in Dagestan in 2012, and analysts think the trip may have been decisive in his alleged path toward the bombings. Eric Schmitt, Micahel S. Schmidt, and Ellen Barry, “Boston Marathon Inquiry Turns to Motive and Russian Trip,”New York Times, April 20, 2013. 6:47PM FBI Special Agent Daniel R. Genck files a request for a criminal complaint in United States District Court against Dzhokhar A. Tsarnaev for his alleged role in bombing the Boston Marathon on April 15. The complaint accuses Tsarnaev of using a weapon of mass destruction and malicious destruction of property resulting in death. Agent Genck relies largely on analysis of video and photographic evidence depicting the April 15 scene at the Boylston Street Marathon finish line and testimony from law enforcement involved in the apprehension of Tsarnaev to develop his conclusions. Judge Marianne B. Bowler, United States of America versus Dzokhar A. Tsarnaev, Case No. 13-2106 MBB, United States District Court for the State of Massachusetts, April 21, 2013. A somewhat nervous-sounding woman identifying herself as Linda calls in to a talk show on WE97.3FM and describes the scene on Dexter Street in Watertown where Tamarlan Tsarnaev was killed. She claims to have seen the first suspect run over “by a police SUV, and then after he was hit [by the vehicle he was] shot multiple times. Minutes later an ambulance arrived. [They] put the suspect into the ambulance and then off [they went].”http://www.youtube.com/watch?v=2sjmjZjssnk The caller asserts that she didn’t believe the suspect was holding a pipe bomb or suicide vest. “Eyewitness: Suspect Run Over By Police: No Bombs,” Liveleak.com, April 21, 2013. 1:19PM Doctors announce that all of the over 180 people reportedly injured in the Boston Marathon blasts one week ago who made it to a hospital are likely to survive. This includes numerous people that arrived with legs attached by just a little skin, a 3-year-old boy with a head injury and bleeding on the brain, and a little girl wounded with nails. Even a transit system police officer whose heart had stopped and was close to bleeding to death after a shootout with the bombing suspects now appears headed for recovery. “All I feel is joy,” says Dr. George Velmahos, chief of trauma surgery at Massachusetts General Hospital, referring to that hospital’s 31 blast patients. “Whoever came in alive, stayed alive.” Marilynn Marchione, “Doctors: All Boston Bomb Patients Likely to Live,” NBC News/Associated Press, April 22, 2013. Federal prosecutors experience difficulties attempting to put together a solid case that Tamarlan and Dzokhar Tsarnaev were motivated to carry out the Boston Marathon bombing because of radical Islamist or Chechen separatist beliefs. Tamerlan Tsarnaev is now the focal point of an international FBI investigation into whether an organised group or broader conspiracy lay behind the bombings. The 26-year-old Tamarlan is believed to have been the mastermind of the event. There is also no known link to any nationalist or Islamist group in the Caucasus region that the brothers regarded as their homeland. Such an association would suggest they were recruited as foot soldiers and given operational instructions to strike the Boston Marathon. US law enforcement and counter-terrorism experts increasingly think the brothers acted independently and that Tamarlan Tsarnaev was a “lone wolf,” mostly receiving personal motivation and training via the internet. Ed Pilkington, “Tamarlan Tsarnaev: Experts Puzzled as Hunt for Terror Links Yields Little,” UK Guardian, April 23, 2013. New Hampshire newspaper Foster’s Daily Democrat contacts state representative Stella Tremblay, who maintains that she questions the explanation of the bombings offered by police and the Federal Bureau of Investigation. Tremblay says she started questioning the official story shortly after the bombing transpired. 10:00PM A video cameraman and anchorperson Melissa Bagg from WPTV News Channel 5 accosts Florida Atlantic University professor James Tracy following his evening class. 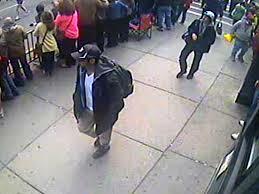 Tracy wrote an April 22 blog post questioning many aspects of what happened on Boylston Street the day of the bombings. “We have the official narrative that this was carried out by two individuals, two Chechen immigrants, but it could be more complex than that,” Tracy tells NewsChannel 5. “The government was carrying out drills on that day. We don’t know exactly what was taking place, what the dynamics were.” Marissa Bagg, “James Tracy, Boston Bombing Hoax? FAU Professor Defends Questioning if Boston Bombs Were Staged,” WPTV News Channel 5, April 24, 2013. Representative Eric Swalwell: And you mentioned that you were able to work with international law enforcement agencies. Were you able to work with forces from Israel and antiterror departments from Israel? Police Commissioner Edward F. Davis: Yes, the Israeli military and police services have been very helpful to us in sending people over to train us. As a matter of fact, the tactic that Sargent Conley used in opening the bags up—the cut and tag tactic—was taught to us by the Israelis. CBS News reports that Dzhokhar Tsarnaev wrote a note in the boat he was hiding in as he bled from gunshot wounds sustained in the April 19 shootout between himself, brother Tamarlan and police. The note is scrawled with a marker on the interior wall of the cabin, saying the bombings were retribution for U.S. military action in Afghanistan and Iraq. It called the Boston victims “collateral damage” in the same way Muslims have been in the American-led wars. “When you attack one Muslim, you attack all Muslims,” said Tsarnaev. “Boston Bombing Suspect Dzhokhar Tsarnaev Left Note in Boat He Hid In, Sources Say,” CBS News, May 16, 2013. Special Agents Christopher Lorek and Stephen Shaw, members of the FBI’s elite counterterrorism unit, perish while practicing how to rapidly drop from a helicopter to a ship using a rope. The FBI announces the deaths on May 20 in a statement that was vague, other than to say the helicopter encountered unspecified difficulties and the agents fell a “significant distance.” The counterterrorism unit was involved in the arrest of Boston bombing suspect Dzhokhar Tsarnaev. A law enforcement source says the incident happened about 12 nautical miles off the coast of Virginia Beach. The official blamed bad weather for the incident. Scott Daugherty, “FBI: Agents Died in Fall From Helicopter Off VA Coast,” PilotOnline.com, May 20, 2013. Six law enforcement agents from the Joint Terrorism Task Force surround Long Island resident Michele Catalano’s family. The call is prompted by Catalano’s web searches for pressure cookers, her husband’s online quest for backpacks and her “news junkie” son’s desire for information on the Boston bombings, all of which coalesced in the internet ether to create a “perfect storm of terrorism profiling”. Catalano is away at work and says the raid is due to shopping for such a cooker to prepare vegetables. The authorities eventually explained how the investigation was prompted by online searches a family member had made for pressure cooker bombs and backpacks made at Mr. Catalano’s previous workplace. The former employer judged the searches suspicious and contacted police. Adam Gabbatt, “New York Woman Visited By Police After Researching Pressure Cookers Online,”UK Guardian, August 1, 2013. Abdulbaki Todashev, the father of 27-year-old Ibragim Todashev, the Chechen man fatally shot by a Boston FBI agent, arrives in the United States with the intent to file a lawsuit against the agency and investigate the mysterious death of his son. Todashev, who lived in Orlando, Florida at the time of the interrogation, had been friends with the suspected bomber when they both lived in Massachusetts. http://www.youtube.com/watch?v=xgXuSvyRgOQ After several hours of questioning, Todashev was shot dead by the FBI in a case that remains obscure and the FBI has sought to withhold information on. Abdulbaki Todashev, who lives in Chechnya, described the incident as an execution-style murder. “Killed Chechen’s Father Arrives in US to Sue the FBI,” RT, August 6, 2013. The Boston Globe and other mainstream media report that Boston Marathon bombing suspect Tamarlan Tsarnaev befriended a “conspiracy theorist” while Tsarnaev was his early 20s. Donald Larking, an elderly, invalid man and lifelong Catholic recently converted to Islam after attending a Cambridge mosque and meeting the elder Tsarnaev. “Tamerlan Tsarnaev was my friend and we talked about everything from politics to religion,” says Larking. “He was very, very religious. He believed that the Koran was the one true word and he loved it.” Major news media report Larking as a confidant of Tsarnaev. In 2012 he gave Tsarnaev a subscription to The American Free Press. Sally Jacobs, “Tsarnaev Friend Tells of Beliefs in Conspiracies,” Boston Globe, August 8, 2013. Reporters and national counterterrorism correspondents from the Boston Globe and National Public Radio participate in a panel discussion to discuss “One of the worst domestic terrorism cases in years and how journalists covered it” at the annual conference of the Association for Education in Journalism and Mass Communication in Washington DC. “Analysis of Media Coverage of the Boston Bombing,” CSPAN, August 9, 2013. Organizers of a celebration of India’s independence in Boston have canceled 2013′s event due to security measures put in place after the Boston Marathon bombings have made it prohibitively expensive. The annual event that draws as many as 20,000 people was scheduled for August 18. In a letter posted on the India Association of Greater Boston’s website, organizers say it’s been canceled until a new location can be found. The letter says the association would lose $20,000, “inappropriate for a nonprofit organization.” New security measures include bag checks at entrances and more police, meaning tens of thousands of dollars in overtime. “Boston’s India Day Canceled in Wake of Marathon Bombings,” MyFoxBoston.com, August 15, 2013. Sgt. Sean Murphy, the Massachusetts state trooper who leaked arrest photos of the Boston Marathon bombing suspect is back on the job after serving a short suspension and then desk duty in July. Murphy leaked the photos in response to what many perceived as a laudatory photo of Tsarnaev on the cover of Rolling Stone magazine. Massachusetts State Police spokesman David Procopio, says Murphy’s assignment began last week and that investigation is ongoing.”Trooper Who Leaked Boston Bombing Suspect Photos Back on Patrol,” Newsmax/Associated Press, August 15, 2013. Emergency planning related to public safety and business continuity. Academic and financial policies and procedures related to maintaining “student in good standing” status. Policies and procedures related to international student immigration. “Marathon Bombing Task Force Report Offers Praise, Suggestions UMass Dartmouth’s Improvement,” Herald News, August 15, 2013. The family of Jane Richard, 7, and the late 8-year-old Martin Richard say Jane is already dancing on her prosthetic leg she received after losing part of her leg in the Boston Marathon bombings. She “struts around on it with great pride,” a statement from the family reads. “While we have made progress with our physical injuries, the emotional pain seems every bit as new as it was four months ago” “Boston Bomb Survivor, 7, Dances on New Prosthetic Leg,” Associated Press/USA Today, August 15, 2013. The Forum restaurant closest to the second bomb that detonated at the Boston Marathon reopens exactly four months after the incident. Forum Restaurant is the last business to reopen its doors following damages from the April 15 explosions . On Thursday, Forum will host a charity event to celebrate their inaugural meal and on Friday, the upscale bar and restaurant will open up to the general public. On June 3 Euz Azevedo told the Boston Globe in June that he wanted to reopen but, “when this thing blew up, it blew shrapnel everywhere — all these little fragments went into the walls, all the wood, the floors and the ceiling.” Forum employees helped victims during the turmoil, two of whom were injured. “Restaurant at Epicenter of Boston Marathon Bombings Reopens,” NBC News, August 15, 2013. Court documents are released showing the severe injuries that alleged Boston Marathon bomber Dzhokhar Tsarnaev suffered before his capture, which include a skull fracture. Dr. Stephen Ray Odom, a trauma surgeon who treated Tsarnaev at Beth Israel Deaconess Medical Center, describes the accused terrorist’s injuries during a court proceeding at the hospital in April, three days after his arrest. “He has multiple gunshot wounds, the most severe of which appears to have entered through the left side inside of his mouth and exited the left face, lower face,” Odom said, according to the transcript. “This was a high-powered injury that has resulted in skull-base fracture, with injuries to the middle ear, the skull base, the lateral portion of his C1 vertebrae, with a significant soft-tissue injury, as well as injury to the pharynx, the mouth, and a small vascular injury that’s been treated,” he noted. Tsarnaev also suffered “multiple gunshot wounds to the extremities” according to the documents. Travis Andersen, “Dzhokhar Tsarnaev Injuries Detailed in Documents,” Boston Globe, August 20, 2013. Massachusetts Institute of Technology police officer Sean Collier who authorities say was shot and killed by Tamarlan and Dzhokhar Tsarnaev is sworn in posthumously as a Somerville police officer. Police from Somerville, MIT, Wilmington and other area departments, in addition to U.S. Sen. Elizabeth Warren U.S. Rep. Michael Capuano, Attorney General Martha Coakley and other legislators are in attendance at the ceremony at city hall. “In death,” Somerville Police Chief Thomas Pasquarello tells the crowd, “Sean achieved his dream.” “Being appointed after death doesn’t usually happen,” Collier’s brother Andrew remarks in a brief speech at the ceremony. “But Sean was not a normal officer. He was one of the best.” Dan Atkinson, “Posthumous Honor for MIT Policeman Slain by Marathon Bombers,” EnterpriseNews.com, August 23, 2013. Amar Ibrahim, 27, discards a bottle of chocolate milk under a Boston municipal bus in Brigham Circle, causing a bomb squad investigation. His attorney subsequently argues that authorities, the bus driver, and passengers overreacted to Ibrahim, who wasn’t on board the Route 66 bus but was wearing a thobe, common garb for men in the Middle East, and a head covering. Ibrahim is released on his own recognizance after pleading not guilty to interfering with public transportation, disorderly conduct, and littering. Jasper Craven, “Man Who Discarded Bottle Under MBTA Bus Pleads Not Guilty,” Boston Globe, August 23, 2013. Beth Israel Deaconess Medical Center CIO John Halamka states at a conference presentation at United Summit in Boston that the hospital was able to keep patient records safe in the aftermath of the Boston Marathon bombings. This was done partly by drawing on lessons learned from a previous data breach related to a stolen laptop. Halamka explains in his addresss how Israel Deaconess ensured that its IT systems stayed online and kept the medical records of bombing suspect Dzhokhar Tsarnaev from being leaked or hacked. Neal Ungerleider, “Data Triage for the Boston Bombing,”Fast Company, August 23, 2013. Additional photos are released by Boston Magazine originally taken by state police officer Sean Murphy showing Boston Marathon bombing suspect Dzhokhar Tsarnaev climbing out of a boat as heavily-armed officers wait for him to drop to the ground in surrender. Some images were published in July but the magazine has decided to release more. The newly-released images include more shots of Dzokhar coming out of the boat, his head bloody and a red laser from a policeman’s gun trained on his head. They also show him falling to the ground, where officers and medical crews rushed to treat him. Majid Mohamed, “Leaked Images Reveal Inside Story of Dramatic Capture of Boston Marathon Bombing Suspect Dzhokhar Tsarnaev,” The Independent, August 28, 2013. Chicago Marathon organizers announced increased security measures. Race officials say runners will have to show identification when they pick up their bibs for the October 13 marathon. The race’s 45,000 runners also will be required to use clear bags for personal belongings and enter the race through designated gateways. The city is anticipating more than 1 million spectators. “Chicago Marathon Organizers Detail Increased Security Measures After Boston Marathon Bombing,” Associated Press / Washington Post, August 29, 2013. Federal prosecutors argue in an indictment that, Robel Phillipos, a friend of the surviving Boston Marathon bombing suspect, is a liar who misled terrorism investigators. Phillipos’ lawyers say after his indictment that it would be eventually clear that authorities should not have charged him. Phillipos faces up to 16 years in prison in connection with two federal counts of lying to authorities investigating the deadly April attack. “Boston Marathon Bombing Suspect’s Friend Indicted,” Moscow Times / Associate Press, September 2, 2013. Connecticut law enforcement authorities say that an unattended package that forced them to seal off a section of Seaside Park and evacuate buildings at the University of Bridgeport was a pressure cooker that appeared to be empty. The state police bomb squad detonated the pot. It had been discovered at about 11 a.m. along the shore in the eastern section of the park. “Any time we receive a report of a suspicious package, we respond with an abundance of caution,” Police Chief Joseph L. Gaudett Jr. says. “Today’s incident was no different. Obviously, considering the incident in Boston, we treated this as a credible threat, followed our protocols and requested the assistance of the state police.” “Package that Shut Part of Bridgeport Park Was Pressure Cooker,” Hartford Courant, September 5, 2013. One Fund Boston takes in a $10 million wave of new donations and thus considers keeping itself open indefinitely for claimants. This prospect comes after compensation czar Kenneth Feinberg recommended in June that the fund be closed down after the first wave of payment distributions. The fund has already disbursed $61 million to 237 bombing victims, many of whom have complained of hearing loss or post traumatic stress disorder. One Fund Boston’s president is James Gallagher, executive vice president of financial services at John Hancock Financial Services, a principle sponsor of the 2013 Boston Marathon. Richard Weir, “One Fund’s Second Act ‘Uncharted Territory,’” Boston Herald, September 13, 2013. The widow of Ibragim Todashev, Reni Todashev says that the FBI and the U.S. government have stonewalled the Todashev family’s attempts to find out what happened to her husband on May 22 of this year. On that date Todashev was killed in execution style by FBI agents while being interrogated at his Orlando Florida residence. Kurt Nimmo, “Wife of Man Executed by FBI Demands Justice,” Infowars.com, September 13, 2013. Three friends of Boston Marathon bombing suspect Dzhokhar Tsarnaev plead not guilty to charges they hindered the investigation into the deadly attack. Authorities allege that the friends went to Tsarnaev’s dorm room at the University of Massachusetts-Dartmouth three days after the bombings, soon after the FBI posted photographs of Tsarnaev and his older brother. The friends are accused in an indictment of removing several items from the room. Lawyers for Robel Phillipos, 19, declined to comment after the brief arraignment in U.S. District Court but said in a statement that Phillipos “had nothing to do whatsoever with the Boston Marathon bombing or destroying any evidence.” “Friends of Boston Marathon Bombing Suspect Plead Not Guilty to Hindering Investigation,” Washington Post / Associated Press, September 13, 2013. New Boston FBI chief Vincent Lisi tells the Associated Press that the Boston Marathon bombings investigation remains a top priority. “We won’t rest until we are confident that anybody that had anything to do with that is brought to justice,” Lisi tells The Associated Press. Lisi was involved in the investigation into anthrax letters sent to Congressional leaders in 2001. He succeeds Richard DesLauriers, who retired in July after 26 years with the FBI. “New Boston FBI Head Says Marathon Investigation Still Active,” The Republic / Associated Press, September 16, 2013. An internal review of what US intelligence agencies knew about the alleged Boston Marathon bombers before April 15, 2013 is being extended indefinitely. An September 20 joint letter from four inspectors general addressed to congressional committees overseeing national security says their final report on what intel agencies knew about Tamerlan and Dzhokhar Tsarnaev won’t be finished this month, as anticipated. “Information relevant to the review is still being provided to the review teams,” the letter reads. The investigation inside the Obama administration is being led by I. Charles McCullough III, the Intelligence Community Inspector General, working with the IGs from the CIA, Department of Homeland Security and Department of Justice. James Gordon Meek, “Intelligence Report on Boston Marathon Bombing Delayed Indefinitely,” ABC News, September 20, 2013. Authorities arrest Ashurmamad Miraliev, a friend of Ibragim Todashev, the Chechen man shot to death by FBI agents on May 22 in his Orlando apartment during an eight-hour investigation. Miraliev is charged with tampering with a witness or informant. A sheriff’s spokeswoman says Miraliev’s arrest is unrelated to the Boston bombing probe or the FBI. The 20-year-old Miraliev was living in the same Orlando apartment where Todashev was fatally shot last May. “Friend of Man Killed by Boston Bombing Probe Arrested,” Seattle Times/Associated Press, September 20, 2013. Head of the National Security Agency Gen. Keith Alexander steadfastly defends the agency’s collection of Americans’ phone records for counterterrorism purposes, proclaiming that the program is helpful in investigations of the Boston Marathon bombing and recent suspected plots against U.S. diplomatic outposts. “It provides us the speed and agility in crises, like the Boston Marathon tragedy in April and the threats this summer,” Gen. Alexander says. Ellen Nakashima, “NSA Chief Defends Collecting Americans’ Data,” Washington Post, September 25, 2013. In a brief filed Friday with the U.S. District Court in Boston, attorneys for Boston Marathon bombing suspect Dzokhar Tsarnaev ask a federal judge for more time to prepare arguments that their client shouldn’t be subject to the death penalty. Tsarnaev’s lawyers say the current Oct. 24 deadline doesn’t allow a “reasonable opportunity” to make a case. Bob Salsberg, “Tsarnaev Lawyers Want More Time to Prepare,” Associated Press / NECM, September 27, 2013. Massachusetts Attorney General Martha Coakley’s office distributes surveys to charities and fundraisers who have raised money following the attack in an effort to ensure donations raised after the Boston Marathon bombing are being spent appropriately. The surveys will ask the groups how much money they raised, how they raised the money, and how the funds have been used. Coakley’s office intends to publish a report on the responses to the survey to maintain public accountability of the process. Coakley’s office has charged three individuals with attempting to defraud One Fund Boston. “Mass AG Coakley Seeking Information From Charities that Raised Money After Marathon Bombing,” Associated Press / The Republic, September 28, 2013. Tatiana Gruzdeva, the former live-in girlfriend of Ibragim Todashev, is seized by federal agents and deported back to her native Moldova in eastern Europe. She had been granted a work visa with a year’s extension, but is taken from immigration offices by FBI officials during a standard meeting. Gruzdeva, 20, spent several months in detention in the immediate aftermath of Todashev’s killing, having been detained on suspicion of an expired work visa on May 30 of this year. During that time, she was repeatedly threatened and intimidated by FBI officials, including several days of solitary confinement. Representatives from the Council of American-Islamic Relations, a civil rights group, later say Gruzdeva had been deported because of an interview she had given to a Boston-based web magazine last month. “They told her ‘You have been talking to the reporters…and you have been saying that Ibragim was a good guy,’ ” says CAIR spokespeople. Gruzdeva had been denied access to a lawyer while in custody. Nick Barrickman, “Family of Boston Marathon Bombing Witness Killed by FBI Denounces Federal Harassment,” World Socialist Website, October 18, 2013. Chicago police work behind the scenes to make the forthcoming Chicago Marathon the most closely monitored race in the city’s history. Police are increasing ostensible and undercover security as 45,000 runners get cheered on by more than a million spectators along a 26.2-mile route through the city’s neighbourhoods. Over a thousand uniformed and undercover officers, along with far more bomb-sniffing dogs than in years past, are expected to mix with the crowd. Inside a command post, officers will be monitoring images coming in from helicopters and some of the city’s 22,000 cameras, the most extensive surveillance system in the nation. “We are going to have eyes on the ground on just about every foot of the marathon route,” Chicago Police Superintendent Garry McCarthy said. Officers will also be making more random searches of spectators’ bags than they have in the past. “Bomb-Sniffing Dogs Expected at Chicago Marathon,” Associated Press / Toronto CP24, October 10, 2013. City police and organizers of the October 12 Baltimore Running Festival increase security as a result of the Boston Marathon bombing event, joining other recent running events that have placed restrictions around the finish line. Officials say they are attempting to ensure public safety without detracting from the celebratory atmosphere that marks such events. Justin Fentin and Nayana Davis, “Baltimore Marathon Security to See Increased Security After Boston Attacks,” Baltimore Sun, October 10, 2013. An study by IBM Research Labs in Delhi, India finds that of the millions of tweets sent out in the week following the bombing 29 percent of the top 20 tweets were “fake content” and inaccurate rumors. Further, 51% of marathon-related tweets were “generic opinions and comments,” while a mere 20% contained factual information. “Due to misinformation distributed by the thousands of inaccurate tweets, the researchers recommend an algorithm that can ‘solve and detect such content in real-time,’” BuzzFeed reports, “and said they are working on such a technology.” Rachel Zarrell, “Most of the Tweets During Boston Marathon Were Inaccurate,” BuzzFeed, October 26, 2013. The New York City Marathon is scheduled to take place on November 3 with increased security measures. There will be more barricades, bag screenings, and bomb-sniffing dogs. Runners will wear special orange wristbands. The whole field will sport yellow and blue ribbons for the Boston victims. Race organizer New York Road Runners seek to recapture the innocence of marathons past. “We hope the day can be one that honors, remembers those hurt and still suffering, and we can provide for the city and for Boston and for people everywhere a back-to-basics celebrating the triumph of the human spirit,” NYRR President Mary Wittenberg says. “NYC Marathon Returns After Boston Attack,” Associated Press / Wall Street Journal, October 28, 2013. A woman becomes the target of internet vigilantism when she dresses as a bloody Boston Marathon bombing victim for Halloween. Alicia Ann Lynch, 22, posts a photo of herself wearing the macabre Halloween costume on her Twitter account. The criticism was intense and she was later fired by her employer for the incident. Doyle Murphy, “Michigan Woman’s Boston Marathon Bombing Costume Sparks Outrage, Threats,” New York Daily News, November 3, 2013. US prosecutors prosecutors say they are in the process of completing their written proposal to U.S. Attorney Eric Holder, who will make the decision on whether to seek the death penalty against the 20-year-old Dzhokhar Tsarnaev. Tsarnaev’s lawyers complain that prosecutors are withholding evidence they need to defend him against the death penalty, including information on a 2011 triple slaying in Waltham in which Tsarnaev’s brother, Tamerlan, is a suspect. “Feds to Advise on Death Penalty in Marathon Attack,” Associated Press, WPVI / ABC Action 6 News, November 12, 2013. Boston Mayor Thomas Menino chimes in on criticism of comedian Bill Maher, host of HBO’s provocative “Real Time” talk show, for comments he made about the Boston Marathon bombings. “It was, again, a bad day. Three people died — that’s terrible. More were maimed — that’s horrible, but unfortunately that happens every day in car accidents and everything else,” Maher said during last Friday’s show. “I mean, your city was not leveled by Godzilla.” “It’s very irresponsible,” Menino tells WBZ-TV in Boston. “I think he should be taken to task for that.” “Boston Mayor Slams Bill Maher For Outrageous Boston Marathon Bombing Comments,” The Blaze, November 15, 2013. Associated press reports that a portrait of Boston Marathon bombing victim and former University of Massachusetts-Boston student Krystle Campbell is unveiled on the campus where she was a student from 2005 to 2007. The unveiling ceremony transpired last week Campbell’s father, William Campbell, tearfully called the portrait “beautiful.” “Portrait of Marathon Bombing Victim Krystle Campbell Unveiled,” Associated Press / WWLP.com, November 21, 2013. Southwestern Illinois teenager Thomas Lee Stanton is sentenced to two and a half years in federal prison for possessing explosive devices just two days after the Boston marathon bombing, timing his father has said was poor for his son. Stanton pleaded guilty in August to a charge of unlawfully possessing destructive devices, also was ordered to spend three years on post-prison supervised release. Stanton’s father, Dan Stanton says he thinks law enforcement are making an example his son because of the Boston marathon bombings. “Teen Gets More Than 2 Years Prison on Bomb Charges,”SFGate.com, December 6, 2013. Investigators in Florida say they will require more time to investigate the death of Boston Marathon bombing suspect’s associate Ibragim Todashev. Officials originally said the Chechen man lunged at an agent with a knife. They later said it was not clear what had happened. Florida state attorney Jeffrey Ashton remarks the investigation would likely conclude and be made public in early 2014. Todashev’s family, as well as the ACLU, have asked for an independent investigation into his death.”Todashev Death Investigation to Go Into 2014,” MyFoxBoston.com, December 13, 2013. One Fund, the Boston Marathon bombing victims’ fund, announces preparations for a second distribution of donations expected to take place in July. In has already distributed almost $61 million collected in the first three months after the April 15 explosions at the marathon finish line. There have been over 230 beneficiaries. Since then, more than $12 million more has been collected. Fund administrators anticipate a surge in donations as the anniversary of the bombings nears. “One Fund to Distribute More Donations,” MyFoxBoston.com / Associated Press, January 3, 2014. The U.S. Department of Justice Department announces an $8.4 million grant to groups helping victims and first responders involved in the 2013 Boston Marathon bombing event. Funding will go to organizations working with the 264 people apparently injured in the incident, in addition to witnesses, emergency responders and others affected by the blasts that authorities say killed three people. “US to Pay $8.4 Million to Victims, Responders at Boston Bombing,” Reuters, January 13, 2014. Former federal prosecutors believe that Dzhokhar Tsarnaev will likely face a capital punishment for the crimes he is accused of. The decision rests with U.S. Attorney General Eric Holder, who must sign off on any attempt to seek execution for a federal capital crime. Holder is almost certain to seek death for the 20-year-old former college student, given the “heinous nature of the crime,” says Michael Kendall, previously a federal prosecutor in Boston and now a defense lawyer. “There won’t be a defense that he didn’t plant the bomb; the only thing there can be a real fight about is the death penalty.”Erik Larson, “Marathon Bombing Puts Death Decision in Holder’s Hands,”Business Week, January 27, 2014. The White House announces that Boston Marathon bombing survivors Carlos Arredondo and Jeff Bauman are among the guests invited to sit with first lady Michelle Obama during Tuesday’s State of the Union address. Jaime Fuller, “Boston Bombing and Jason Collins Will Sit in First Lady’s Box at State of the Union,” Washington Post, January 27, 2014. The Justice Department announces that it will seek the death penalty against Dzhokhar A. Tsarnaev, who is accused of killing and disfiguring people with homemade bombs at the Boston Marathon finish line on April 15, 2013. The decision is the highest profile federal death penalty case since that of Timothy McVeigh, accused of carrying out the truck bombing of the Murrah Federal Building in Oklahoma City. “Dzhokhar Tsarnaev targeted the Boston Marathon, an iconic event that draws large crowds of men, women, and children to its final stretch, making it especially susceptible to the act and effects of terrorism” prosecutors wrote in an eight-page document filed in federal court in Boston. Prosecutors further said that Tsarnaev displayed no remorse for the act. Matt Apuzzo, “U.S. Is Seeking Death Penalty in Boston Case,” New York Times, January 31, 2014. District Court of Massachusetts Judge George O’Toole rules early Wednesday that the trial of accused Boston Marathon bomber Dzhokhar Tsarnaev will commence begin November 3, 2014, disregarding requests from defense attorneys to postpone proceedings until at least 2015. “Boston Marathon Bombing Trial to Begin This November,” RT.com, February 12, 2014. Runners and those supporting loved ones at the Little Rock Marathon will see heightened security this year in the wake of the Boston Marathon bombing.”You’ll see a larger presence of Little Rock Fire Department and Police Department,” says Gina Pharis, Marathon Executive Director. “Our start line will be more secure this year; our finish line remains the same. You can still sit from the bleachers and watch your loved ones come through. If you carry in any sort of bag be prepared.” “Little Rock Marathon to Tighten Security,” WTHV CBS, February 18, 2014. The Boston Athletic Association announces the 2014 Boston Marathon will have a “no bags” policy as part of stepped-up security following last year’s deadly bombing. Marathon runners are typically are allowed to bring bags or backpacks with personal items. This year, runners will not be allowed to bring backpacks or bags, which will also not be allowed in certain areas near the start or finish line, or along the 26.2-mile course.”Boston Marathon Ups Security By Banning Bags,” Associated Press / Sports Illustrated, February 26, 2014. Tighter security measures for this year’s Boston Marathons are intended to help reduce the risk to runners and spectators, police said. “In this world, you never eliminate risk. You never bring it down to zero. But we are working very hard at reducing the risk,” Massachusetts State Police Colonel Timothy Alben said Monday. “Tighter Restrictions Announced for 2014 Boston Marathon,” UPI, March 10, 2014. The New York Post lost a bid to throw out a defamation lawsuit by two men whose photo and the headline “BAG MEN” appeared on the paper’s front page last year during the manhunt for the Boston Marathon bombers. Suffolk County Superior Court Judge Judith Fabricant in Boston yesterday rejected the Post’s argument that the paper’s coverage constituted a “fair report.” Janelle Lawrence, “N.Y. Post Ordered to Face Suit Over Bombing Story Photo,” Bloomberg.com, March 11, 2014. A congressional panel cancels plans to meet with Boston marathon bombing victims and local emergency responders in Massachusetts. The hearing scheduled for Boston this spring is being rescheduled for Washington DC. Congressional officials say Boston’s newly elected mayor, Martin Walsh, raised concerns that the hearing might politicize the attack. “The committee is moving forward with the hearing in Washington DC,” says Charlotte Sellmyer, the spokeswoman for the panel, which had been coordinating the Boston hearing with the mayor’s office. “For many reasons, we decided to have the hearing in DC.” “Congress Moves Boston Marathon Bombing Meeting to Washington DC,” Associated Press / UK Guardian, March 13, 2014. The Boston Globe reports that former Boston Mayor Thomas Menino has been diagnosed with an advanced form of an unknown cancer. The newspaper says in a story on its website that doctors found “an advanced cancer of unknown origin” that had metastasized from an unknown source. The cancer was discovered in February by Menino’s primary physician. Boston’s longest serving mayor, Menino retired from office in 2013. “Thomas Menino Has Advanced Cancer,” Associated Press / Politoco.com, March 16, 2014. The F.B.I. agent who fatally shot Ibragim Todashev is cleared of wrongdoing by a Florida prosecutor and an F.B.I. internal review. An almost-completed Justice Department review is also expected to conclude that the agent followed proper guidelines when he killed Todashev, according to the officials. Michael S. Schmidt and Matt Apuzzo, “F.B.I. Agent is Cleared in Fatal Shooting of Man Tied to Boston Suspects,” New York Times, March 22, 2014. The legal defense team of accused Boston marathon bomber Dzhokhar Tsarnaev say the FBI approached his brother Tamerlan about becoming an informant on the Chechen and Muslim community. In court filings lawyers for Dzhokhar demanded all information about alleged FBI contacts be made available for the court. “We seek this information based on our belief that these contacts were among the precipitating events for Tamerlan’s actions during the week of April 15, 2014, and thus material to the defence case in mitigation,” the filings say. “FBI Wanted Boston Bombing Suspect to Be Informant,” News Channel Africa, March 29, 2014. A Harvard University report states that the manhunt for the Boston Marathon bombing suspects culminated in a chaotic gunfight that placed police and the public in danger because it lacked co-ordination and restraint, according to an otherwise largely positive report released Thursday by Harvard University on the emergency response to the event. “Control over fields of fire and authorization to fire is another critical micro-command issue in any rapidly-evolving, high-stress event, and it is dramatically more complicated in a sudden team of people from multiple agencies where there is no shared history and where, as a consequence, command is likely to be more tenuous,” the report said. “Report Finds Gunfight to Apprehend Boston Bombers Endangered Public,” Associated Press / UK Guardian, April 3, 2014. An almost 12 month review by an inspector general of information the US intelligence community possessed prior to the Boston Marathon bombing finds that government agencies did not overlook any key details that could have prevented the incident. Rather, the report shifts blame to Russia, stating that the country’s government withheld vital information from the US. “Boston Marathon Bombing Review Says Russia Withheld Information,” Associated Press / UK Guardian, April 10, 2014. The American Civil Liberties Union of Massachusetts files a lawsuit in US District Court in Boston against the FBI and the US Attorney in Boston for failing to provide documents about a joint terrorism unit involved in the Boston Marathon bombing investigation including a man purportedly linked to one of the bombers. “Rights Group Sues for Boston Marathon Bombing Docs,” First Post, April 11, 2014. Boston Marathon bombing survivor Adrianne Haslet-Davis, a dancer who claims to have lost part of one of her legs in the April 15 bombing, asserts she walked off the set of NBC’s Meet the Press in tears after a panel participant referred to one of the alleged Boston bombers by name. Shuan Ganley, “Marathon Bombing Survivor Walks Off Set of Meet the Press,” WCVB, April 11, 2014. Boston city officials release detailed public safety plans for the 2014 Boston Marathon during a press conference at City Hall. Mayor Martin J. Walsh and Boston Police Commissioner William Evans say runners and spectators will see a heightened police presence and more emergency medical services and emergency communications on marathon day. Meghan Colloton, “Improved Boston Marathon Public Safety Plans Announced,” Boston.com, April 12. 2014. The Boston Globe wins the Pulitzer Prize in the category of breaking news for its coverage of the Boston Marathon bombing. The New York Times photo journalists receive two Pulitzers, one of which is for “feature photography” for images “of the painstaking recovery of a Boston Marathon bombing survivor,” the Times reports. Ravi Somaiya, “Pulitzer Prizes Awarded for Coverage of N.S.A. Secrets and Boston Bombing,” New York Times, April 14, 2014. Republished at Global Research on August 18, 2013. Submit story/event suggestions for possible inclusion in Boston Marathon Bombing Timeline here.